Do you feel overwhelmed by the amount of workload you have to do, or do you find yourself missing deadlines? Or do you sometimes just forget to do something significant, so that people have to chase you to get work done? All of these are symptoms of not keeping a proper “To-Do List.” These are prioritized lists of all the tasks that you have to carry out in order to make your clients/customers happy and satisfied with your services. They list everything that you have to do, with the most vital tasks at the top of the list, and the least significant tasks at the bottom. By keeping such a list, you make sure that your tasks are written down all in one place so you don’t forget anything significant. To-do Lists are literally necessary if you’re going to beat work overload. When you don’t use them efficiently and effectively, you’ll appear unreliable and unfocused to the people around you. 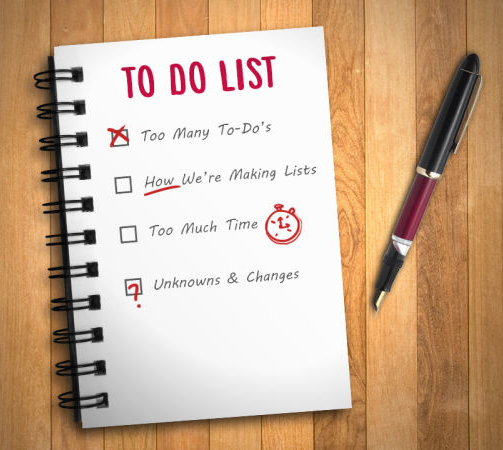 When you are unable to keep track to-do list, then you can hire our Virtual Staff to get rid of these kind of hurdles. Our Virtual Staff will help you fix any kind of issue related to your to-do list. Understand what you can realistically achieve with your time. Make sure you have enough time for essential tasks. Avoid taking on more than you can handle. Work steadily toward your personal and career goals. Have enough time for family and friends, exercise and hobbies. Achieve a good work-life balance. Time is the one resource that we can’t buy, but we waste it or use it ineffectively in our day to day work. Scheduling assists you think about what you want to accomplish in a day, week or month, and it keeps you on track to achieve your goals. Have you ever wondered how to source the products you want to sell in your online store? If you want to open your own online business, but haven’t yet found your suppliers, it’s time to get serious about doing business online. Without suppliers you have no idea what you will be paying for your products and services. Therefore, you won’t know how much profit you can make — or if indeed you can make any profit at all. Proper planning becomes pretty much impossible. To move from having an idea to create an Internet store to actually running your own online business, You have to take a number of steps. One of the most significant steps is to find trustworthy and reliable suppliers for your products. Hiring our Virtual Staff will help you with Source & buy products and services. A customer service allows a department to handle a large volume of telephone calls in an efficient and effective manner. A Virtual Staff direct incoming calls to an available agent, much like you see during fund raisers or telephones. A Virtual Assistant services are designed for work groups or departments, such as registrar’s office, reservation desks, admissions office, ticket sales, help desks, customer service or desktop support. Email has become the most significant aspects of today’s businesses. Checking email takes so much time and energy, moreover, you need to respond in a proper manner. Hiring our Virtual Staff allow you to get free from this whole task and focus on most significant aspects of your business that generate more revenue for your business. Today we are dwelling in a high-tech world. Sorting and filing plays a significant role. If documents and files are not organized in a proper manner and you need a particular client’s file urgently, then at that point of time, it becomes a hurdle to find that particular file. Hiring our reliable and cost-efficient Virtual Staff may help you organize your documents in a significant manner. If you are looking for Photocopying and Collating services, then we at Save Your Hours provide the best Photocopying and Collating services to our clients/customers. Our Virtual Staff are highly efficient in providing all sorts of Photocopying and Collating services to our clients within the stipulated time frame. We at Save Your Hours provide the best record keeping services to help you manage all the business and financial transaction records in a proficient manner. A well organized records are the best way to keep track all your records in an efficient manner. 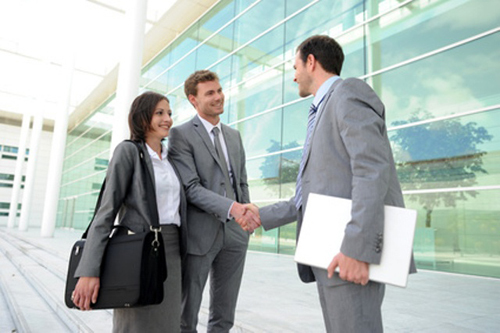 Hiring our highly efficient Virtual Staff help you manage your important works and transactions in a proper way. Invoices for goods or services you purchase or bills you pay such as rent, rates, insurance, license fees etc. End of year stocktake records, assets register etc. Good practice records management should include preparing and using both the profit and loss budget and cash flow forecast. Any other records which are ‘business activity’ specific and required by law for the operation of your business e.g. for a café your food safety plan. No longer living the simple life, but running a thousand errands? There are a hundred things you have to do. There are the professional bills to be paid, commitments, planning that dinner party, catering to your family’s needs and running a thousand errands; and only 24 hours in a day and so much energy you can summon. Hiring our reliable and cost-efficient Virtual Staff will help you with this and you can set yourself free to engage with other more important business activities to grow your business. With a resourceful team of data typists, proofreaders and editors; we deliver a wide range of formatting and copy typing solutions for business letters, essay, invoices, reports, resumes, property, building inventories, survey data, audio typing and more. We also assist in conversion of typed/written documents into ready digitized formats like RTF files, Word DOCs, TXT files, HTML files, or PDFs, etc. Our comprehensive services address sole requirements like general correspondence, invoice, reports, inventories, survey data, real estate details, medical records, Psychiatric and medico-legal information. We deliver quality, best typing outputs for manuscripts, book, Magazines, Vouchers, e-Books, Brochures, receipts and bills. We have a team of highly proficient and reliable Virtual Staff, provide high quality word processing and typing services at an affordable cost. Hire our VAs to reduce your work load today! If you are running a business, then you have to schedule an appointment with your clients/Customers to make a business deal. If you are unable to do so, then you can simply hire our Virtual Staff who will work delicately for you. They manage manage all sorts of appointment and send you all the related details about that. Sending hand-written notes to your potential clients literally play a vital role in establishing great business relationship with your clients. If you don’t have sufficient time to do so, then you can simply hire our Virtual Staff to get this job done in an efficient manner without your involvement.